about this book: Northamptonshire 1865. Rose is married to her first love, Johnnie Harper and happily living at Bushel Farm with their young son, Alfie; but With Johnnie's evil and jealous older half brother, Sebastian, living under the same roof and believing that he should have been the sole inheritor of Bushel Farm after the death of their father, Rose's days have always been spoiled by his presence. A tragic accident resulting in the death of Johnnie, and leaving Rose a young widow soon gives Sebastian the idea that he is entitled to possess everything, including the beautiful young Rose. 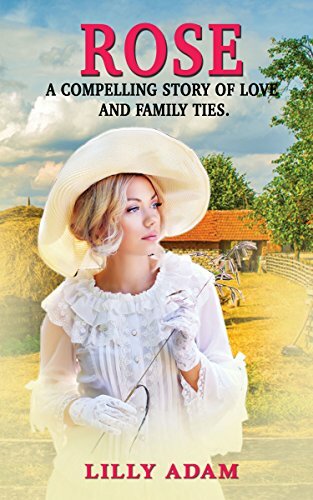 In the grips of one of the coldest and unrelenting winters for years, Rose has no choice other than to live alongside Sebastian until the arrival of spring when she is forced to take drastic actions and escape from Bushel Farm with her young son, Alfie, to a safe place, far from the ruthless Sebastian's evil clutches. With only a few shillings to her name and no relatives to shelter her, Rose's journey to freedom begins in the dark hours of night and marks the beginning of a series of events which will have a huge effect on the rest of her life.